Button-shaped chocolate candies that are coated with rainbow colors! The inside is delicious milk chocolate and the exterior is crunchy candy shell. 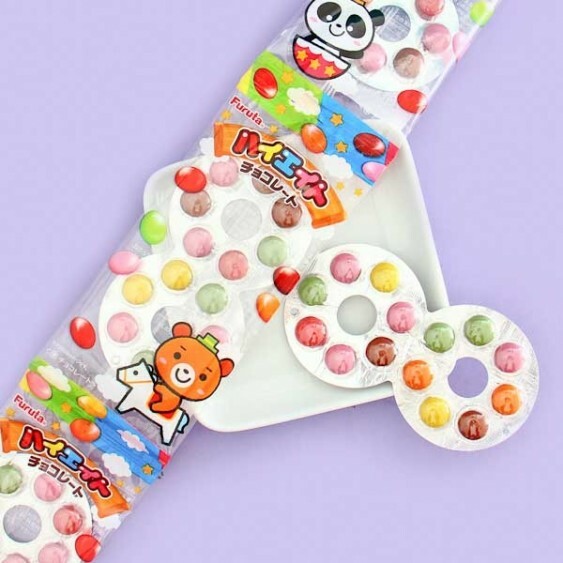 Candies are packed in stylish packaging where the candies are in a shape of number eight. 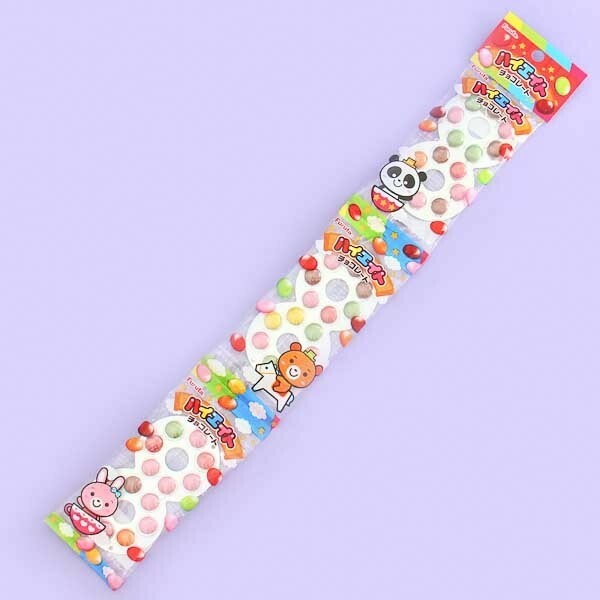 One package includes 3 individual candy sheets. So yummy!